How does an insurer, judge or jury assess one’s pain level? If their pain is not showing up on any x-ray, scan, or test result, then how does a Court truly know that the claimant is in pain; and in fact telling the truth? What’s stopping somebody from simply making a claim that they’re disabled, and lying to their doctor and to the Court alike? How do we know that somebody is telling the truth about their subjective pain, fatigue or other cognitive difficulties (loss of memory, sadness, fatigue, loss of concentration etc.)? These are all very good questions. Believe it or not, our the way that personal injury claims and long term disability claims work in Ontario make it pretty clear who’s faking, and who’s not. First, we have to draw a distinction between an objective injury vs a subjective injury. An objective injury is one that will show up on an xray, scan or test. A factured ankle. A broken femur. A cranial facture. A hematoma on the brain. All of these are injuries which will show up on a test, which any doctor, or non-medical person can likely see. It’s pretty hard for an insurer to refute an ankle fracture injury when the x-ray clearly shows that the ankle is fractured. A subjective injury is different. These are injuries which will not show up on any test, xrays or scans. Many concussions or minor head injuries will NOT show up on CT Scans. Soft tissue injuries to one’s back will not show up on an x-ray; and may not even show up on an MRI. Anxiety, depression, fatigue, memory loss, loss of concentration, fibromyalgia, chronic pain: these sort of injuries might show up following a battery of psychological tests undertaken by a psychologist or a neuropsychologist. BUT, they won’t show up on an x-ray. Because of this, insurers, judges and juries want EVIDENCE that these subjective injuries that you’re claiming for are in fact real and legitimate injuries. Simply saying that you’re in pain, depressed, anxious or tired isn’t good enough. – MEDICATION: what are you taking, what dosage, what frequency, who prescribed it, and how long have you been taking it. Is it heavy duty medication, or does your doctor not even thing think that your injuries are serious enough for prescription medication? Now, we appreciate that some clients are adverse to taking medication to manage their pain, so this might not be the best indicator. But, it’s one on a lengthy list. – REHABILITATION THERAPY: Are you going for physiotherapy, chiropractic care, psychological counselling, naturopathy or massage for you pain. Are you paying for this treatment out of your own pocket in order to get better? If so, this is a good indicator that you’re in pain and that the problem is a serious one. Afterall, what person would pay for treatment out of their own pocket (when money is tight), when they’re NOT in pain. I can think of a million and one better ways to spend money other than on unecessary treatment. – RECREATIONAL ACTIVITIES : What sort of recreational activities did you participate in before your pain/disability. Are you still participating in this activities or not? If not, then why not? Is it because of the pain, or is it because of another reason. Many of our chronic pain clients used to be very active; be it in sports, fund raising, dancing etc. After their disability, we see that thye cease participating in these programs, and become more socially withdrawn. –SURVEILLANCE: Has the defendant insurer undertaken any surveillance of you? If so, what does it show? Does it show you going to doctor’s appointments? Does it show you working or doing heavy lifting? Does it show you going to an amusement park and having a great time? Either way, surveillance has a tendency to sway a Judge and Jury’s opinion and is a common trick for insurers in chronic pain cases. They want to get images or videos or you doing something that you said you cannot do; or that you ought NOT be doing. –YOUR DAILY ROUTINE: What are you doing with your life since becoming disabled? How are you spending your day? What time do you wake up? What time do you go to sleep? Do you have problems falling asleep or are you constantly fatigued? Believe it or not, Courts and insurers want to know this information so that they can assess you level of pain, disability and your case. –YOUR PRE-DISABILITY HISTORY: What was your health like before you became injured or disabled? Were you perfectly healthy? Were you already on disability for another health reason? This is significant because it will help the lawyers involved in your case understand your baseline of health prior to the disability so that we know how far you’ve dropped off. -ACCIDENTS BEFORE OR AFTER THE DISABILITY: Were you involved in an accident before you became disabled, or AFTER you claimed disability? Both are very relevant to your claim, and towards assessing your level of pain and suffering. One accident will always try to pin the blame on the other accident and vice versa; which has a tendency to complicate many personal injury claims. Enough Law Blog Talk? Sure. Congrats to the Cavs on acquiring yet another 1st overall pick in the NBA draft. Talk about LUCKY! And this is the very same franchise that had the priviledge to draft LeBron James. All of those 1st overall picks, PLUS Lebron James? That’s one lucky franchise. Or unlucky. 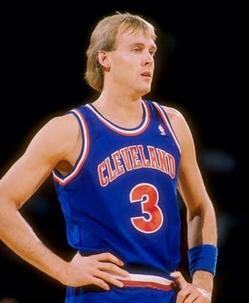 Just ask Craig Ehlo, Mark Price and Brad Daugherty. And now you know why we put a picture of Craig Ehlo in the Toronto Injury Lawyer Blog. I thought it was a pretty neat addition.